Former welterweight champion Georges St-Pierre will return to the Octagon for the first time in four years when he takes on middleweight champion Michael Bisping at UFC 217 on Nov. 4 in New York City. 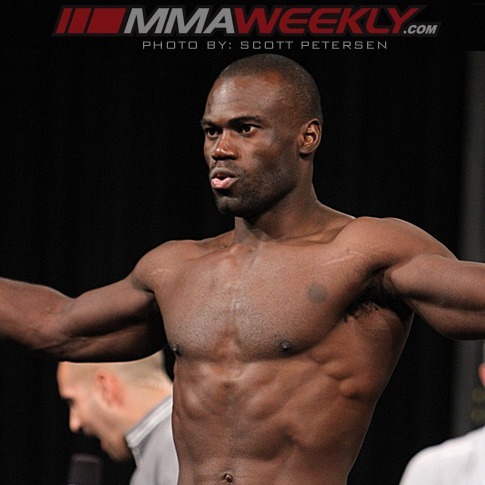 Uriah Hall is ranked No. 14 in the UFC’s 185-pound division. He made it to the finals of The Ultimate Fighter 17 middleweight tournament in 2013, and gave his take on the upcoming title fight at Madison Square Garden during an appearance on the UFC Unfiltered podcast. Hall didn’t technically make a prediction about who he thinks will win in November, but his comments seemed to lean one way. While he didn’t actually say he expects St-Pierre win, he sure sounded like that’s what he was saying. “Prime Time” believes the former welterweight titleholder has better technique than the middleweight champion. He questions whether Bisping will be able to impose his will on the Canadian. Hall attributes much of Bisping’s success to his conditioning. “The Count” doesn’t fatigue. He is constantly moving in fights. He outworks his opponents, but St-Pierre is known for the same thing.